You know what is the best thing about a job; well it is the financial security that it brings as compared to a business. But on the other hand, there are several moments in a job when you feel insecure about losing it all. Given today’s competitive scenario, job insecurities are at a rise. Even when you are doing your job well, you don’t know when or why it may end one day. Most of the times, in order to keep the jobs safe, people just blindly listen to their bosses and sometimes work against the wishes even when they know that the boss is wrong. But almost everyone experiences a time a moment when you no longer give a damn when you no longer fear the job loss and you are just ready to blow your top. This thread saw people venting out the emotion when they reach a point of having enough of the boss’s torture and are ready to give him back. This roaring self-esteem is surely something to watch out for. 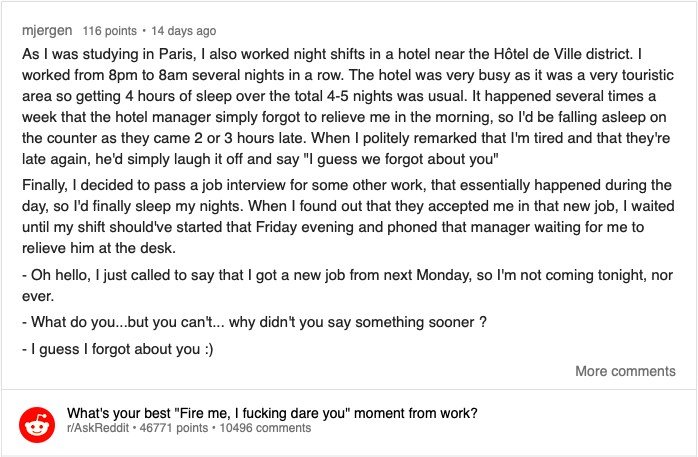 Like this person here who literally gave his boss his peace of mind! This user shared a story about how his father was being charged for no fault of his and then how did the dad make his badass move. This Punjab medical college resident really made things difficult for the administration and made them bow down to it. This mechanic managed to give a most epic and hilarious answer and is surely one of the best. He taught a great lesson to his employers for not being valued for his knowledge. What happened when he returned to work the next day is just perfect! 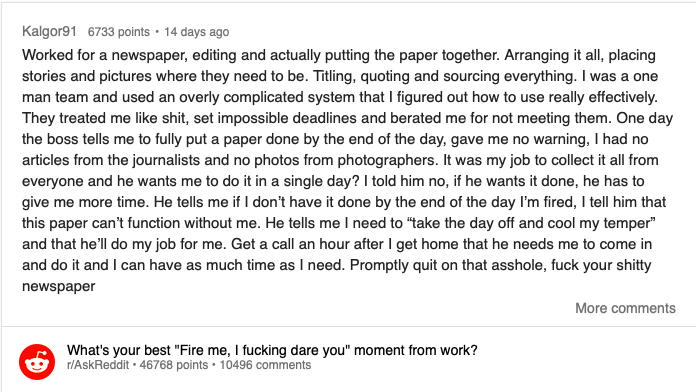 This thread is a great reminder of a sort to all employers and bosses that they must value the people who work for them. They should give their employees the respect they deserve and take care of their monetary incentives, due praises and appreciate the value they bring to the organization. 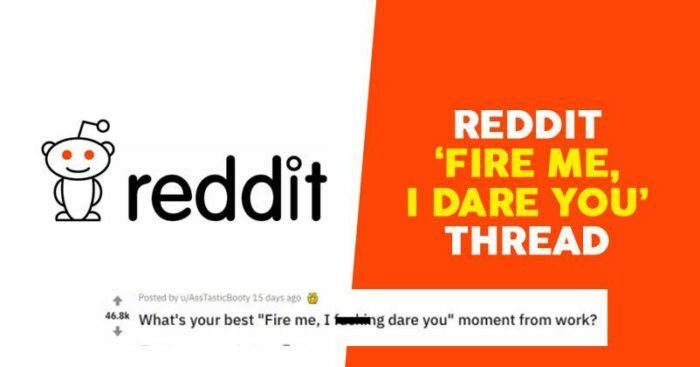 Otherwise, one day, the employee may lose out and just slap them with IDGAF and then who knows they might see their name next on the thread’s list.